Carol Anderson, Charles Howard Candler Professor and chair of African American Studies at Emory, will present this year’s John F. Morgan Sr. Distinguished Faculty Lecture on Monday, April 9. Emory historian Carol Anderson, Charles Howard Candler Professor and chair of African American Studies at Emory, will present this year’s John F. Morgan Sr. Distinguished Faculty Lecture. “White Rage: The Unspoken Truth of Our Racial Divide” will be the focus of her lecture, to be delivered Monday, April 9, from 4 to 6 p.m. in the Presentation Room of the Oxford Road Building. The presentation, which will be immediately followed by a reception, is free and open to the public. A nationally acclaimed historian, Anderson drew critical praise and fed national dialogue in 2016 when she published her book “White Rage,” which examines how racism and racial prejudice have long been infused into public policy in the United States. 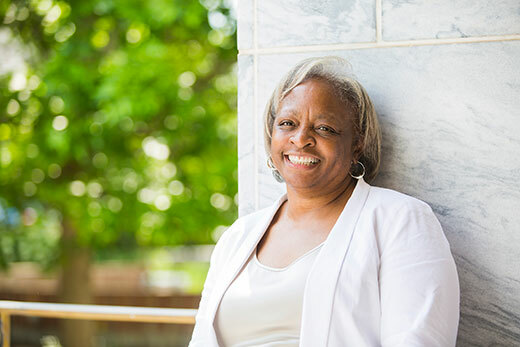 At Emory, Anderson’s research and teaching focus has been public policy, particularly the ways that domestic and international policies intersect through issues of race, justice and equality in the United States. Her research has garnered numerous national grants and awards, and she was recently awarded a 2018 Guggenheim Fellowship in constitutional studies.